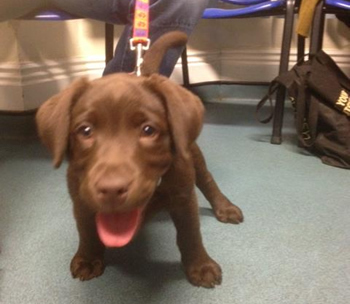 Do you have a puppy between the ages of 8 and 14 weeks old? If so we invite you to join our puppy club! This is a 5 week course held on Mondays and Wednesdays (you only need to attend 1 class a week) by our nurses Sarah and Rebecca. 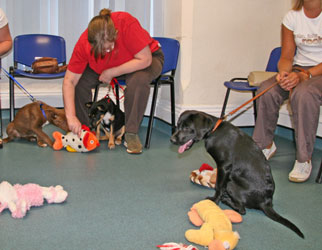 The main purpose for our puppy class is to provide excellent socialisation for your puppy. 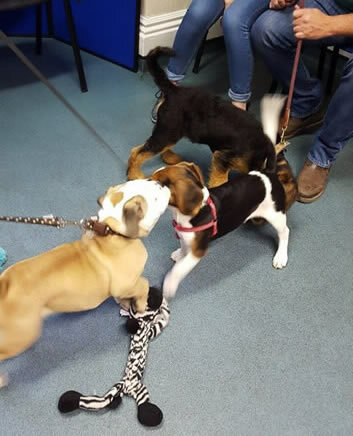 As well as providing a safe environment for your puppies to play and socialise, our nurses will be there to give you the best advice on topics such as nutrition, dental care, fleas, worms, ticks, vaccinations, neutering and insurance!